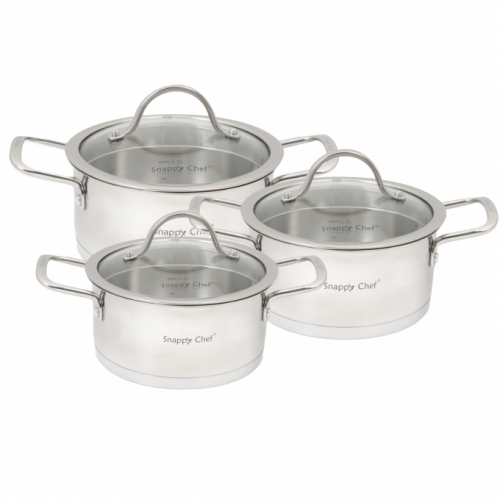 The Snappy Chef Platinum 6pc Cookware set compliments any household kitchen. The Snappy Chef Platinum 6pc Cookware set compliments any household kitchen. This set is the heart of your cookware range, and essential to any kitchen. Ideal for boiling, baking & frying, this high-quality cookware set makes cooking a joy.